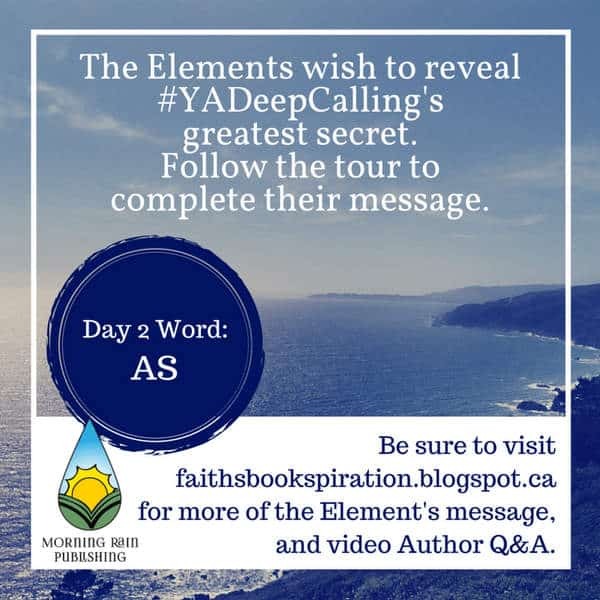 Deep Calling is a new young adult novel by Canadian author J.M. Lavallee. Today I’m thrilled to introduce her work, and participate in her Blog Tour to help launch this tale of the oceans. When J.M. Lavallee contacted me about her new book, I asked if any Irish connection might be found calling from the deep. Well, none other than Manannán Mac Lir, the ancient mythological Celtic sea god, features in this Contemporary Fantasy. I grew up listening to stories of Manannán and his wily ways of the sea, so I just knew this book would be a perfect fit for my blog. And some good news! There’s a giveaway for an electronic copy of Deep Calling, so read on to find out how to enter. So now, I’ll hand you over to J.M. 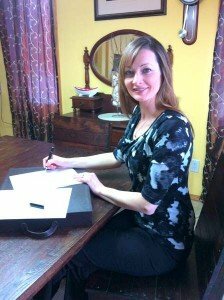 Lavallee to introduce you to her book and the wonderful Celtic mythical characters winding through the pages ….. When you grow up by the ocean something happens. Its power pushes into you; it feeds and replenishes. Without even noticing, you become dependent on it. As I’m sure you’ve guessed, I was raised by crash and roar, near the Atlantic along the Lower North Shore of Quebec, Canada. A string of tiny communities have been built upon the isolated shoreline, and the culture it has fostered, as well as redefined, reaches back in time and over the Atlantic’s swell. Its roots stretch into the soils of Ireland, England, Scotland, and France. Some places lose their ties. They snip them and regrow their own. But the folks of Quebec’s Lower North Shore nurtured theirs, which is one of the reasons why, as a child, Irish folklore became my fairy tales of choice. The stories made sense to me. I believed them alive, as I did the ocean, and the sandy soil beneath my feet. 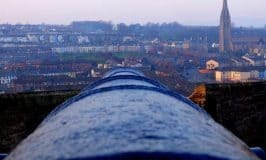 Putting names and power to the elements did not seem fanciful, but obvious, and when I often whispered to the sea during times of sadness or through moments of joy, I felt I was speaking to Irish Folklore’s Sea King, Manannan. I grew up. I left home. And in the Alberta prairies I now reside. Oh, how the separation from sea tortured me. Even so far away, I felt its power pushing, calling. Nothing smelled right. Colors were strange. Where was the mist with all its secrecy and chilling warmth? The tale of Deep Calling soon poured from my soul. 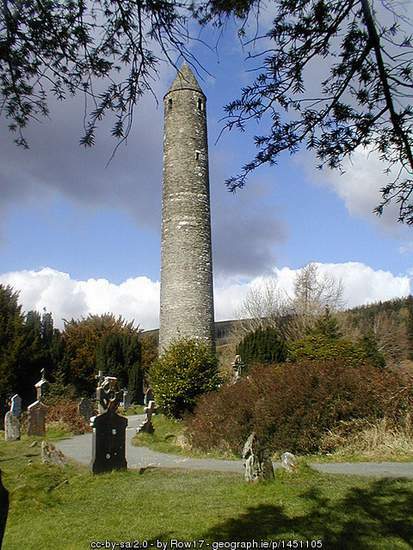 The old ties of Ireland’s Celtic belief rose within me. Inheritances found their way into my tale, and it became a reunion for myths of old, and culture renewed. 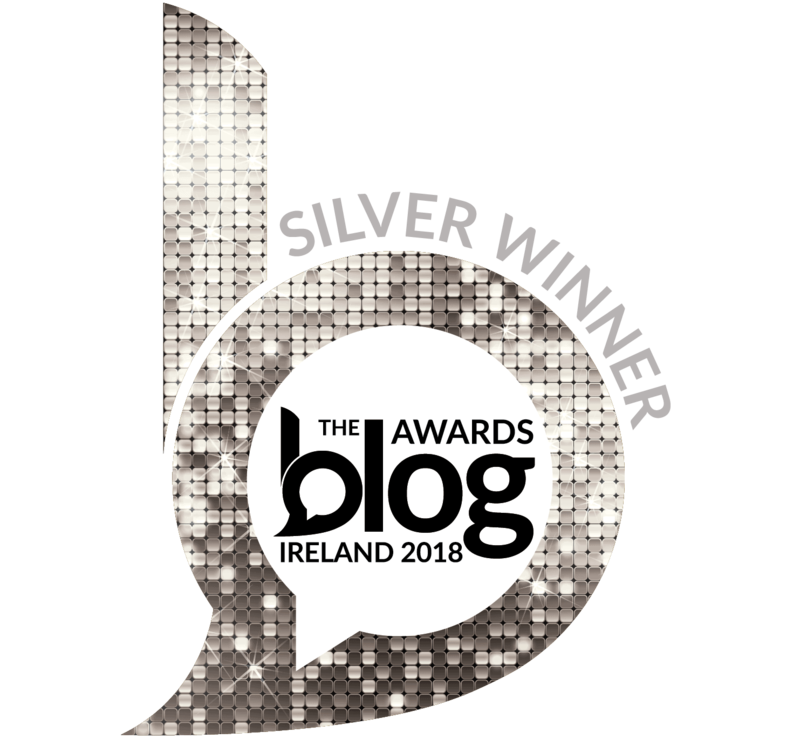 I graciously thank Mairéad for this presence on Irish American Mom, as I believe you−her readers−might find an interest in Deep Calling. Through this Young Adult, Contemporary Fantasy, I’ve put my own spin on Celtic Folklore’s Rhiannon and Manannan. Combining Irish and Welsh tales surrounding Rhiannon, I’ve redefined her love of birds and horses, and worked upon her marriage to Manannan (or Manawyddan). Rhiannon’s myth is a sad one. You may find her truth in Deep Calling just as despairing. Through Deep Calling’s Manannan, I have placed my vision of the ocean’s power, strength, beauty, and lack of mercy. Dear Readers, beware. 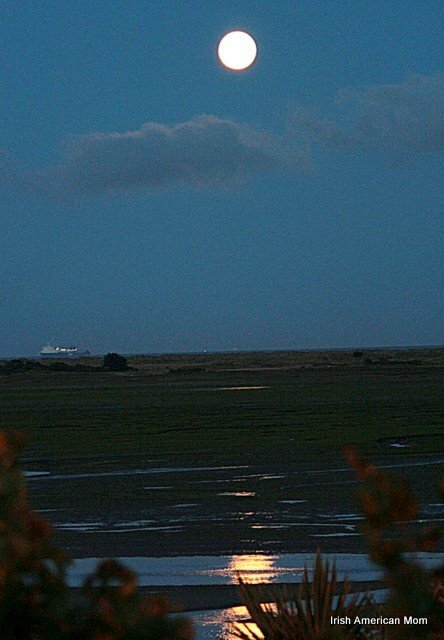 Falling in love with Manannan equals great danger. 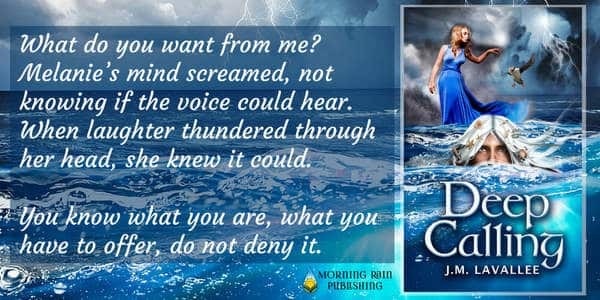 Please join me in celebrating Deep Calling’s upcoming, Morning Rain Publishing release, by touring with me through nine book loving blogs. Today, we begin a giveaway which will end August 10th. Make sure to enter your name in the Rafflecopter provided for your chance to win a 9Tracy’s Craze Tote Bag, handcrafted Celtic charms, a coupon for a free Deep Calling ebook, and beautiful bookmarks. I’d love to hear from you. Get in touch by visiting me on Facebook. Find me on Twitter, or check out my Instagram account – @j.m.lavallee. J. M. Lavallee grew up along the Lower North Shore, Quebec, in the small community of Chevery. Experiencing childhood by the Atlantic resulted in a kindred interest in Celtic Folklore, as well as the English and Irish traditions inherited by East Coast Canadians. Devoted to literature, J.M spends much of her time reading, writing, and imagining, while working as a Preschool Instructor and Kindergarten assistant in Grovedale, Alberta. J.M’s most precious work, however, is shared with her husband through the raising of their two handsome sons. Deep Calling is J.M. Lavallee’s second novel. 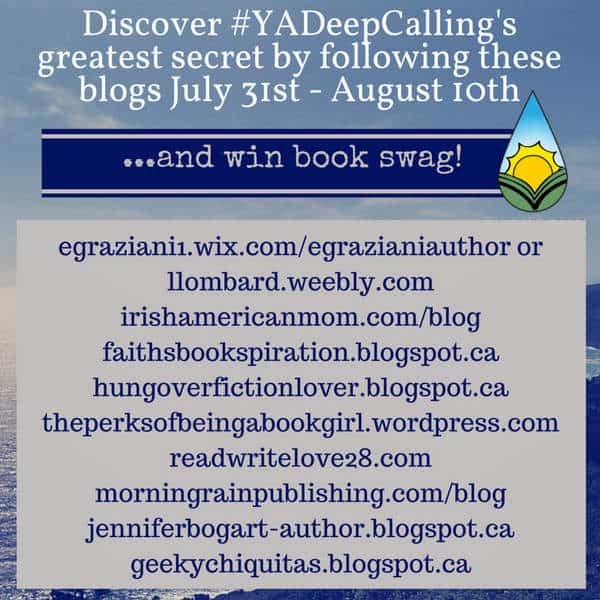 Simply fill out your e-mail or log in using Facebook on the Rafflecopter widget below to be entered into this giveaway to win an electronic copy of Deep Calling or some wonderful book swag. If you follow the Rafflecopter instructions you can earn some extra entries. Best of luck to all the entrants. 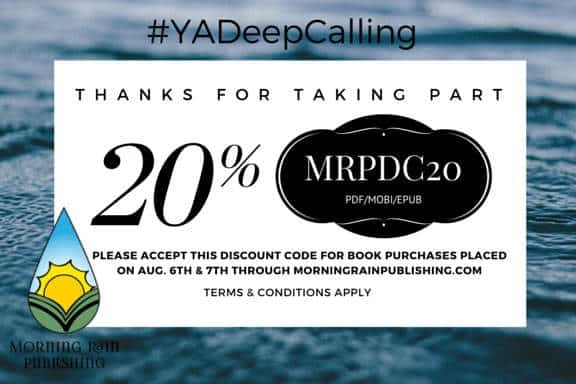 Morning Rain Publishing has provided a 20% discount code for orders of Deep Calling placed on August 6th and 7th, 2015. 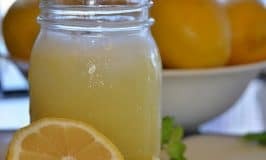 I’m extremely grateful to J.M Lavallee and Morning Rain Publishing for providing this wonderful guest post and images for me to share with you today. Wishing them every success with this exciting new publication. This book really does sound intriguing. It’s on my TBR list. Cool. Hi Ross – My TBR list grows longer by the day, but this sounds like a book to move to the top of my list quickly. Thank you for sharing. I have shared with my granddaughter and think I would like to read it too. Hi Fran – I hope both you and your granddaughter enjoy this mythical read – thanks so much for recommending it to your granddaughter. Hi Priya – Thanks for checking out my blog – so glad you like it. And thank you too for all your support of your good friend. Her book sounds absolutely intriguing – the kind of tale a teenage girl could not put down – a real page turner. It’s many moons since I was a teenager, and this book has definitely piqued my interest too. Thank you for the lovely post on Deep Calling. It was such a pleasure working with you! 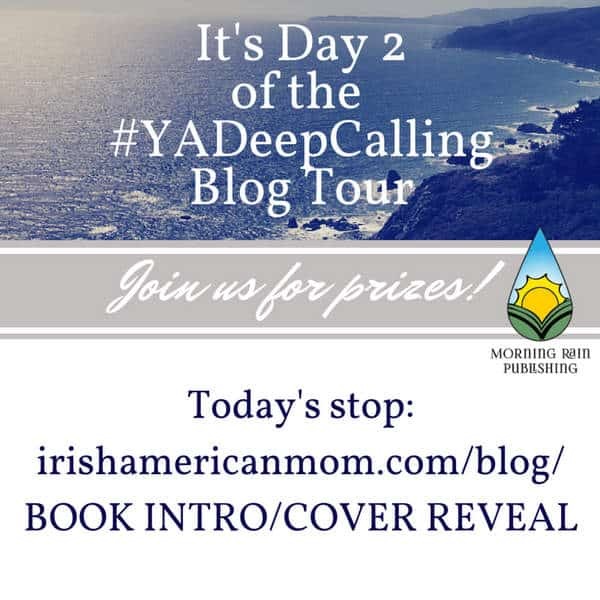 I thought I’d swing by to let your readers know that today, this Day 7 of the #YADeepCalling Blog Tour, is the book’s RELEASE DATE! E-copies of Deep calling are now available for purchase (I’m thrilled!). Buyers, don’t forget to use the MRP coupon code above! This code is good for book purchases made both today and tomorrow, through Morning Rain Publishing. Here’s the link to Deep Calling: http://morningrainpublishing.com/project/deep-calling-by-j-m-lavallee/ It includes links to Amazon Kindle, and Kobo. Hi J.M. – It was lovely to work with you too. Thanks so much for introducing this book and your writing to my readers. I really appreciate it. Wishing you every success, and years of inspiration so you can continue creating wonderful stories and novels. I’m hoping you’ll be inspired by even more Celtic myths for your future endeavors.